Blog Quick Quotes: July Club Q Inspiration with Barb! July Club Q Inspiration with Barb! Happy Thursday to you! 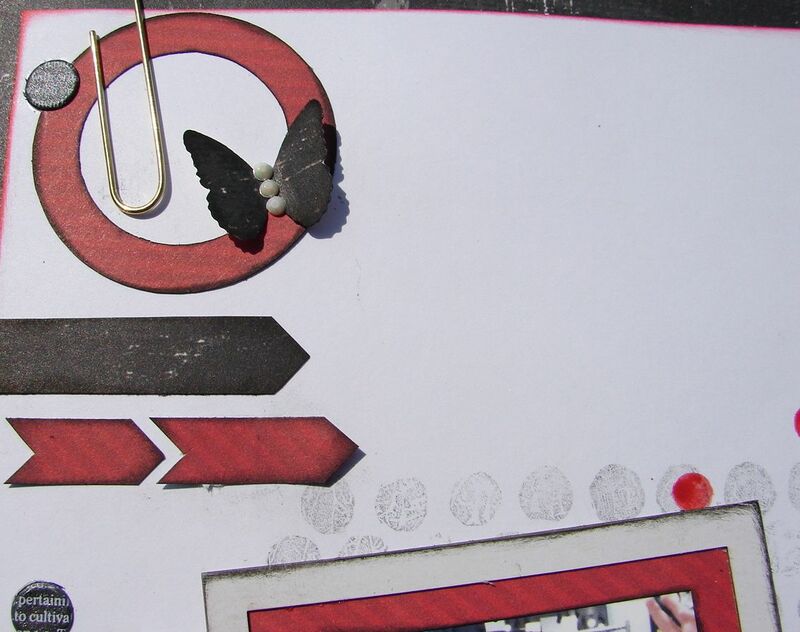 Barb here today to share some July Club Q Inspiration with you! I decided to make a canvas that included photos of my husband and I on vacation. The reds, browns and golds looks fabulous together! 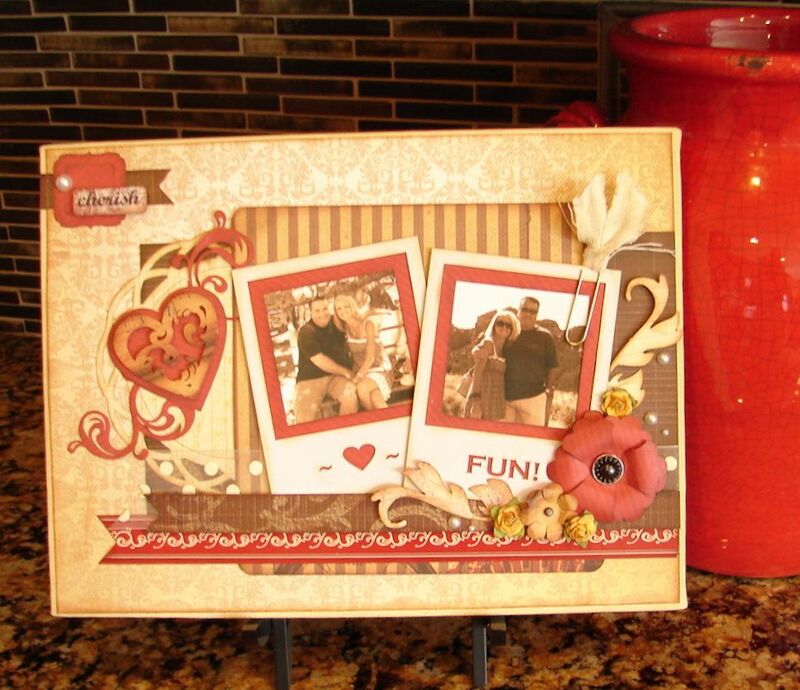 I have to say that my favorite part of this kit were these cute die cut polaroid frames! I added some Biscotti PowderPuff Chalking Ink to the edges to give them a bit of an aged look. 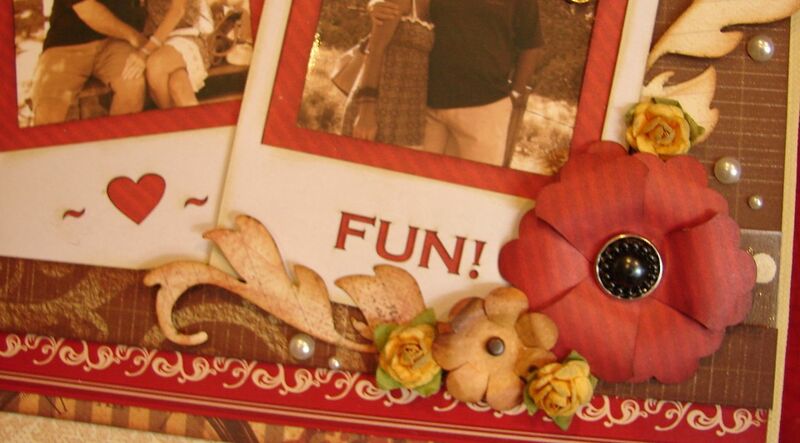 These die cut flowers and flourishes also came in the kit. I added some Mocha Mama PowderPuff chalking ink to the edges and added a brad to the center of the flowers. I love the large black brad that came in the kit! Here is another close up shot of the die cuts in this kit. I added some foam adhesive between the layers of the heart. 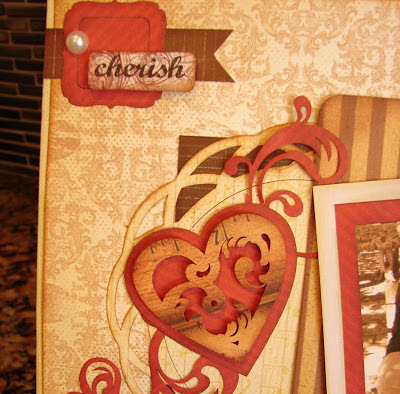 The Cherish sticker is from the Quick Quotes Cracklin' Rose die cut stickers. And since I was having so much fun, I kept right on going! 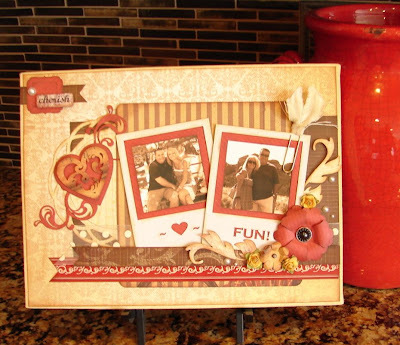 I had another one of the die cut polaroid frames to use so I put a fun, youthful twist on it! This time I used a black, white & red theme. 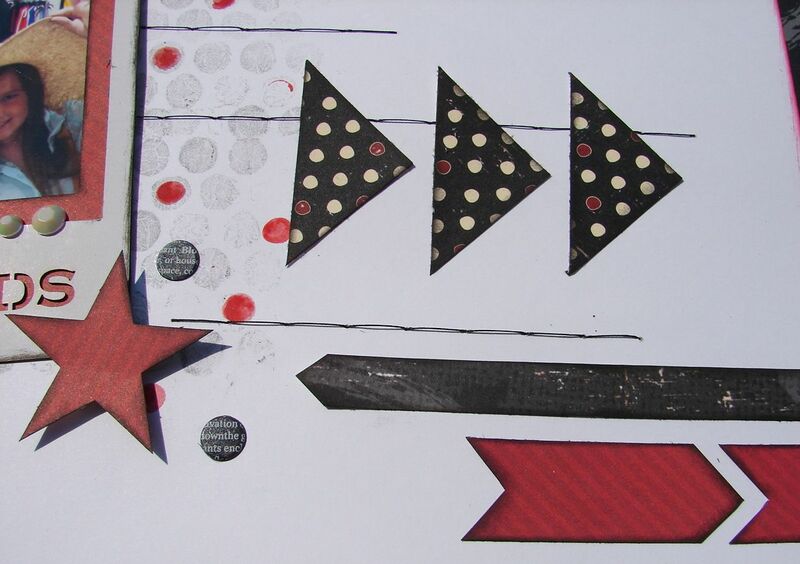 I used some bubble wrap and Midnight Confessions PowderPuff Chalking Ink to create the polka dot background. I added a few red dots with red paint. 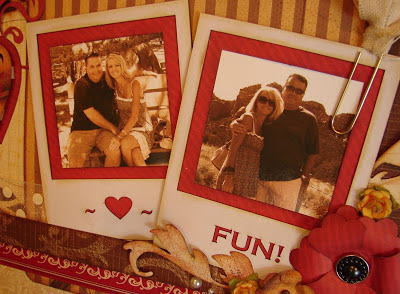 I had several die cuts left over from the canvas and they were perfect for this tween layout! I inked all of the edges with Midnight Confessions PowderPuff Chalking Ink. I also used Red Hot PowderPuff Chalking ink around the entire border of the layout. I love that I was able to make 2 completely different projects with this kit! And I still have plenty left over more more layouts and cards! These are both fantastic Barb! Those polaroid frames are so fun! Awesome projects Barb! The photo frames are so fun!